I created some quizzes with over 100 idioms to review what we studied on the English We Speak podcasts. 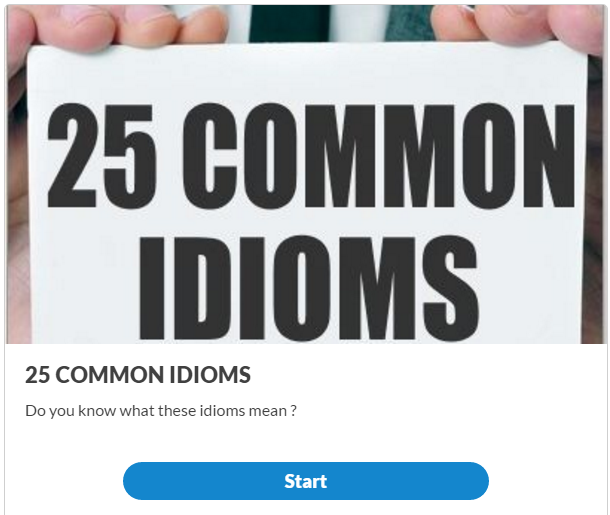 You can test your knowledge by answering questions on animals, body parts, food and drinks, weather idioms, and idioms with prepositions. Be sincere, tell the truth! Kids are always complicated. Down with them! Not to get anywhere. No progress. Why are you stupid or silly? Why are you bored or hungry? Why are you angry or sad?